Remote codes for Sylvania TVs. 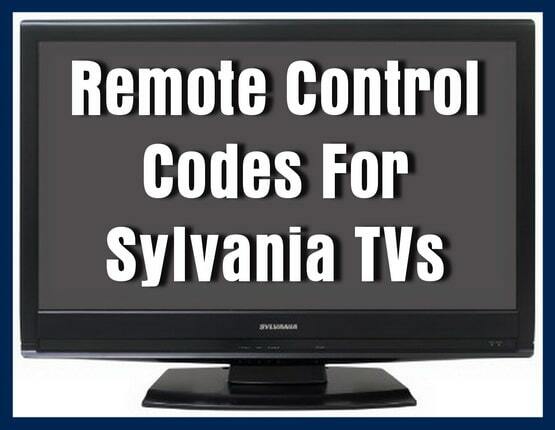 Below is a list of all Sylvania remote control codes to be used with ALL Sylvania televisions. These codes can be used with all universal remotes if your remote needs a 4 digit code. Do you have questions about the remote codes above for a Sylvania TV? Please leave a comment below if you need other remote codes for your universal remote. No on/off or volume control. I am trying to get my Telus remote to get this Sylvania 32″ SLED to connect. I have tried codes to connect it and can’t find one to work. I just bought a Sylvania model # SLED5516A. I have Rogers as the cable provider. I tried two of their universal remotes which are provided by Universal Electronix: model #s URC-2125BCO-BX & 1056B03. All their codes don’t work with this Sylvania TV. Rogers could not help me. I also tried their web site support without any luck at URCSUPPORT.com. They told me to contact Sylvania. I tried Sylvania customer Service (turns out they were in Manilla, phillipines) and they were not helpful. I tried the Sylvania codes in this site and did not work. Can anyone help please? I can seem to be able to switch the cable channels to air channels manually. Will the remote allowed me to perform this option? I have a Sylvania LCD TV. Model 6620LF4. I tried the Sylvania TV 3 digit codes you had in each category to work with my GE universal remote RM24927 and RM94927 but could not get it to work with my Sylvania flat screen TV. Im tring to set up my TV so I can then try to find the 3 code for my Roku streaming stick that has no remote, to work with my universal remote if possible.